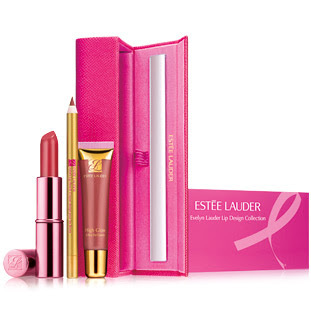 Some Beauty Products to buy & help The Breast Cancer Research Foundation. 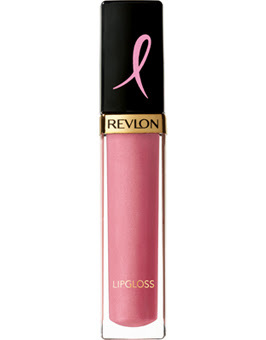 Revlon SuperLustrous Gloss in Pink Pursuit 10% of the sales go to the Breast Cancer Research Foundation in partnership with the Entertainment Industry for more information visit REVLON. 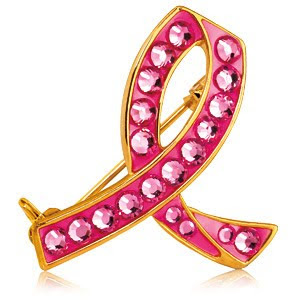 On the sidebar is a link to help Breast Cancer by just a click if you want to Support the cause. 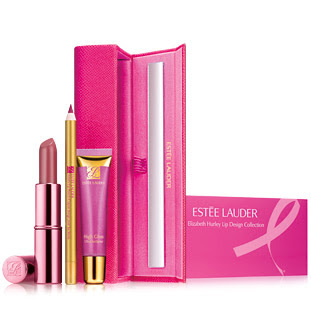 From Estee Lauder beautiful makeup sets @ prices that you can totally afford Elizabeth Hurley Lip design Collection $22, Evelyn Lauder Lip Design Collection $22 & Jeweled Pink Ribbon Pin $12 Buying this helps Estee Lauder Donate $500,000 to The Breast Cancer Researh Foundation. Click on the Pics to go and see or buy.